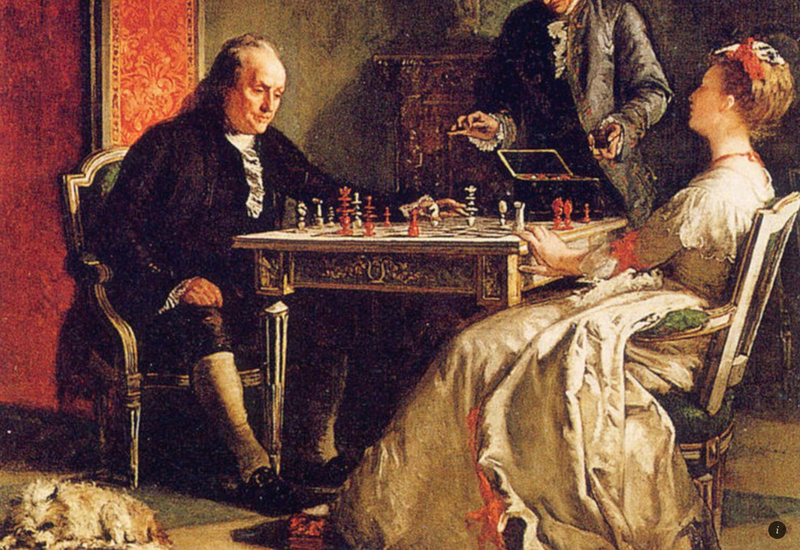 Lady Howe checkmating Benjamin Franklin. Painting by Edward Harrison May in 1867. Short Fiction by Benjamin Franklin (Yes, that Benjamin Franklin). "The Morals of Chess" was first published in The Columbian Magazine in December 1786 and brought to the Internet by American Literature click here. Playing at Chess, is the most ancient and universal game known among men; for its original is beyond the memory of history, and it has, for numberless ages, been the amusement of all the civilized nations of Asia, the Persians, the Indians, and the Chinese. Europe has had it above 1,000 years; the Spaniards have spread it over their part of America, and it begins lately to make its appearance in these northern states. It is so interesting in itself, as not to need the view of gain to induce engaging in it; and thence it is never played for money. Those, therefore, who have leisure for such diversions, cannot find one that is more innocent; and the following piece, written with a view to correct (among a few young friends) some little improprieties in the practice of it, shows at the same time that it may, in its effects on the mind, be not merely innocent, but advantageous, to the vanquished as well as to the victor. That we may, therefore, be induced more frequently to choose this beneficial amusement, in preference to others which are not attended with the same advantages, every circumstance, that may increase the pleasure of it, should be regarded; and every action or word that is unfair, disrespectful, or that in any way may give uneasiness, should be avoided, as contrary to the immediate intention of both the players, which is, to pass the time agreeably. 7. If you are a spectator, while others play, observe the most perfect silence. 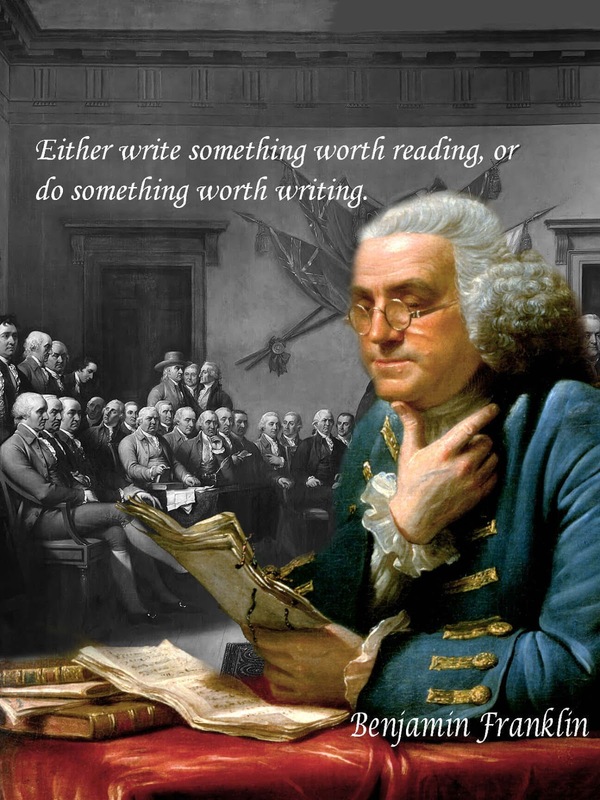 For if you give advice, you offend both parties; him, against whom you give it, because it may cause the loss of his game; him, in whose favour you give it; because, tho' it be good, and he follows it, he loses the pleasure he might have had, if you had permitted him to think till it occurred to himself. Even after a move or moves, you must not, by replacing the pieces, show how it might have been played better: for that displeases, and may occasion disputes or doubts about their true situation. All talking to the players, lessens or diverts their attention, and is therefore unpleasing; nor should you give the least hint to either party, by any kind of noise or motion.—If you do, you are unworthy to be a spectator.—If you have a mind to exercise or show your judgment, do it in playing your own game when you have an opportunity, not in criticising or meddling with, or counseling, the play of others.